50mm x 24.5mm x 4.5mm (small cabs 28mm x 13mm x 5mm). Tot. Weight: 70.10 carats. 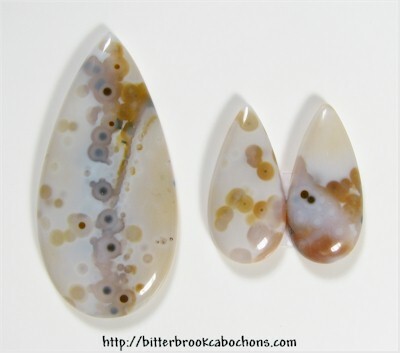 Do you like Ocean Jasper Trios? 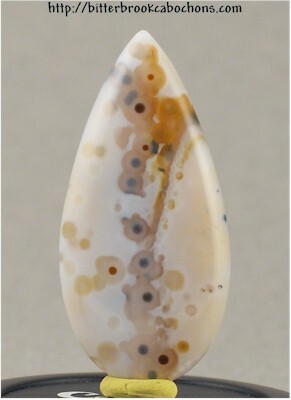 Click here to see all of the Ocean Jasper Trios on the site!